Physical Phase returns with a lush slice of deep progressive trance. This is a Game hits early with melodic intent and beautiful key changes that sit against a bed of cool effects and intelliegent drum programmimg. The drop lifts you sky high and the strong melodies just keep coming bathing you in sonic mastery. Equally at home in warm build up sets or in the peak of the big room when BPM's are not the only requirement. Physical Phase once again proves that trance does not have to be written at break neck speed to tick all the boxes. 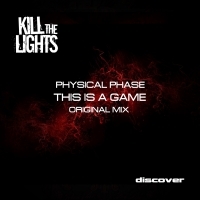 'This Is a Game' is available now from Beatport and iTunes.